Nintendo Download Highlights – 7/28-8/3 – 3WIREL! Nintendo released a PR statement regarding recent announcements, including sale information and news like demos of Kirby Planet Robobot landing on the 3DS E-Shop. The full press release follows below but some great Nintendo games are coming to both Wii U and 3DS. Recent sales on the Kirby series is to celebrate the pink puff ball’s birthday, so consider getting some Kirby games for the Wii U or 3DS this week. I personally recommend Planet Robotbot & Mass Attack. 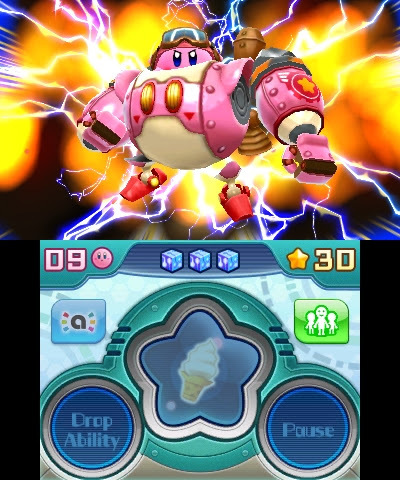 What better way to celebrate Kirby’s birthday than with a free demo of his new sci-fi adventure, Kirby: Planet Robobot for the Nintendo 3DS family of systems, alongside other great Kirby games. Shin Megami Tensei: Devil Survivor 2: Record Breaker and Shin Megami Tensei IV are on sale until8:59 a.m. PT on Aug. 8.